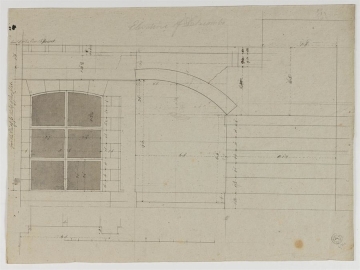 The arches in drawing 10 are 9 feet 6 inches and 16 feet 4 inches wide. 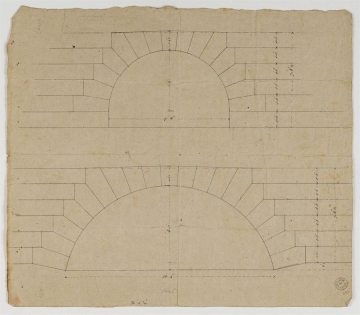 Drawing 9 corresponds with the section on drawing 16, having half-arches forming the vaulted catacomb. Plans of the ground floor and basement are on drawings 6 and 8.